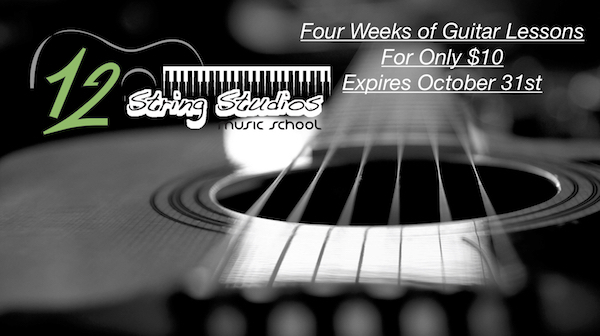 Receive a FREE Month of lessons in September! 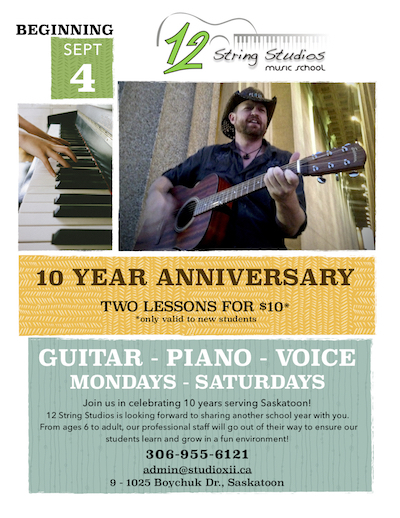 After a couple successful music recitals, we are now wrapping up our school year this month by offering a special offer: You can receive your first month of lessons FREE is you place a deposit to hold a spot for Fall enrolment this month! Just contact our office and we'll be happy to assist in finding a day and time suitable for you. All you need to do is place a deposit of $80 by July 28th and we will give you the month of September FREE! If you'd like an additional discount on next years tuition, you can also place a $240 deposit and receive 5% off the rest of the school year! Contact us today! Choose from one of our four great piano instructors who've reached a minimum Royal Conservatory Grade Eight and have studied their discipline for at least ten years. Contact our office today to select one of our two locations in Saskatoon and a day and time that's convenient for you! You can also visit our Groupon Page for extra convenience. JUST in time for Christmas! Our Groupon feature is back with a great offer for an intro to music with our professional and educated teachers for as low at $35! Please share this offer as it's the perfect Christmas Gift for the holidays. https://www.groupon.com/deals/studio-xii For more information, please contact our office. Limited Time OFFER!! 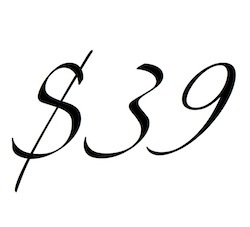 Four week intro for $39! 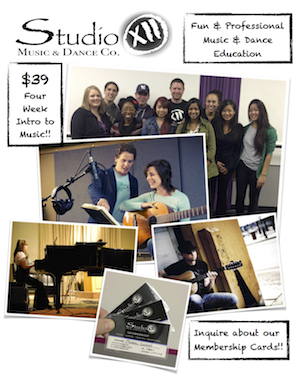 For four days only, 12 String Studios and its partner Studio XII Music & Dance Co. are offering a four week intro to music lessons for only $39. Please read more for detailed info on how you can take advantage of this great offer. To register, please come to our kiosk/table on the following specific days at the Lawson Heights Mall in order to take advantage of this great offer. We will have an assistant there to answer any of your questions. Friday, April 18th; Saturday, April 19th; Thursday, April 24th; Friday, April 25th. For more information on our programs, please contact our office or register online and we will contact you as soon as we can. Our office is CLOSED APRIL 18th - APRIL 25th so we appreciate your patience as we get to your messages! For the month of October Studio XII is offering a limited time introduction to its music lessons by seasoned, professional musicians! 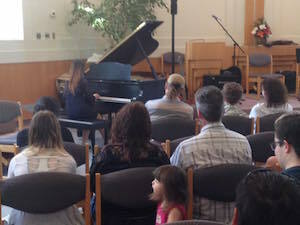 You or one of your family members can be trained by award winning and highly accoladed music teachers in three locations for guitar(6+), piano(5+), and voice(12+). 3) Look out for the Studio XII Groupon feature available right now. To visit the feature, CLICK HERE! For more information, please visit our Facebook Page and/or call our office! !